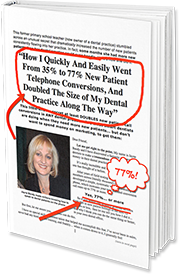 The blog will feature simple practical ideas that are easy to implement immediately in your Dental Office, impacting immediately on your Patients’ Dental Phone Experiences, and ultimately, improving your practice profitability. Thank you Polly I really do believe what I write. I have walked the talk and now want to share my experience with other Dentists and their teams.